Small breed puppies burn a lot of calories and have a high energy requirements. 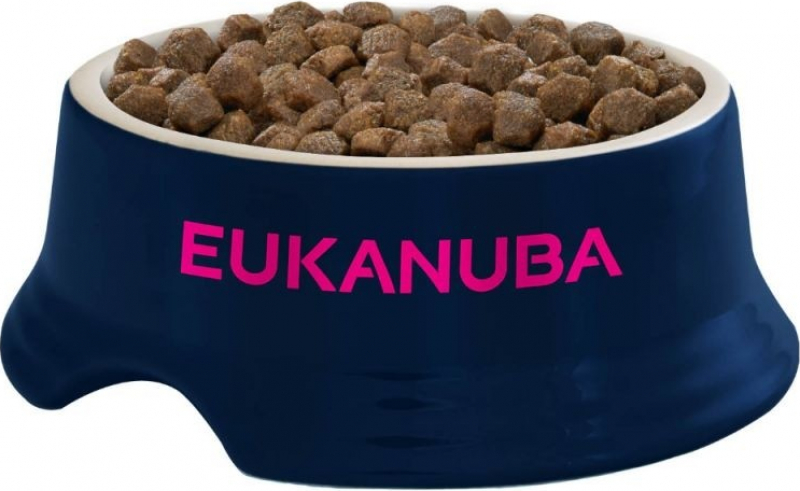 Eukanuba Puppy for small breed puppies meet their needs. 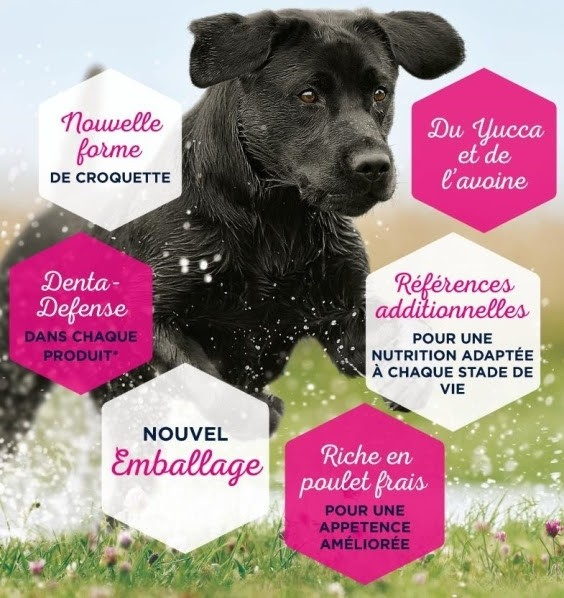 This dog food contains animal proteins that aid in the development of muscle mass. 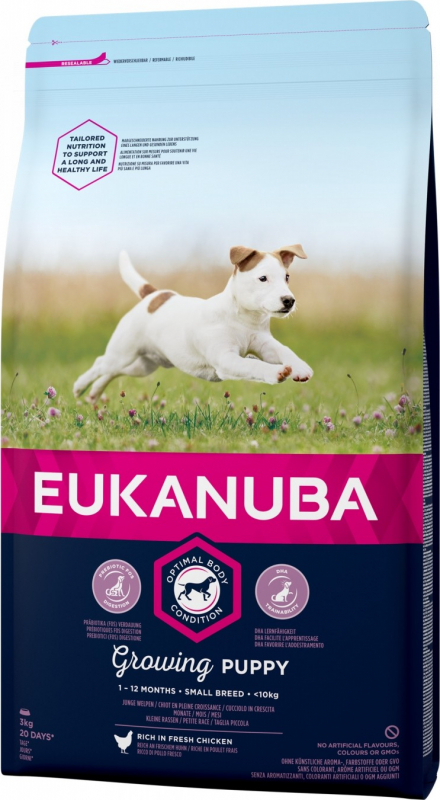 An antioxidant complex as well as taurine, lutein and vitamins E and C reinforce the natural defences of your puppy. Calcium supports your puppy's bone and joint growth and development. 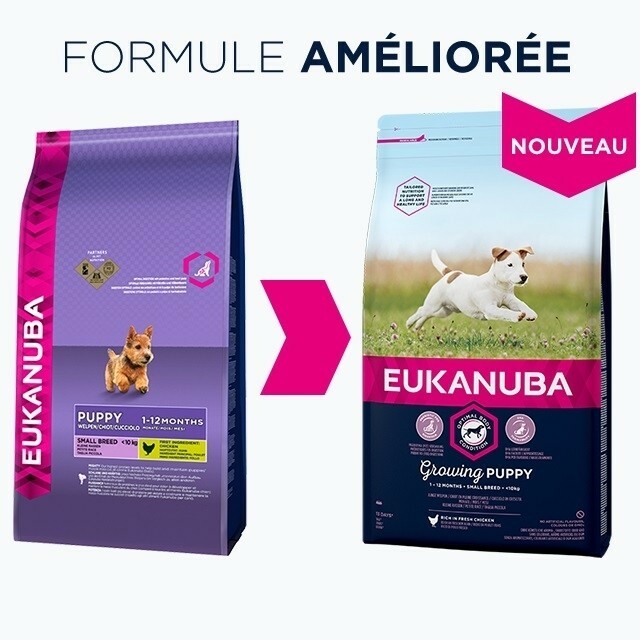 Eukanuba Puppy for small breed puppies contains vitamins, omega 3 and 6 and essential minerals which contribute to skin health and the shine of your pet's coat. Made with chicken and turkey, it is more easily digested. Protein 29%, Crude Fibres 6.7%, Crude Oils and Fats 18%, Crude Ash 2.1%, Moisture 8%. Nutritional Additives: Vitamin A (45110IU/kg), Vitamin D3 (1497IU/kg), Vitamin E (251mg/kg), L-Carnitine (57mg/kg), B-Carotene (28.5mg/kg); Trace Elements Contain Basic Cobaltous Carbonate Monohydrate (0.48mg/kg), Cupric Sulphate Pentahydrate (45mg/kg), Potassium Iodide (3.3mg/kg), Ferrous Sulphate Monohydrate (606mg/kg), Manganous Sulphate Monohydrate (46mg/kg), Manganous Oxide (33mg/kg), Zinc Oxide (211mg/kg).